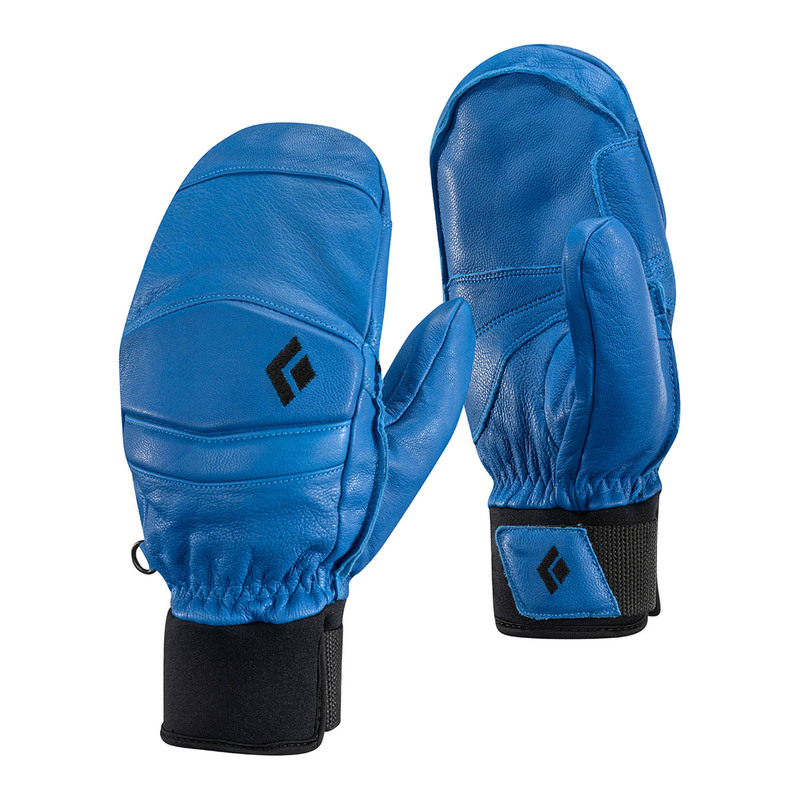 The Black Diamond Spark Mitts combine function and style in this technical yet elegant alpine glove for cold weather mountaineering and climbing. For maximum protection against the harsh mountain conditions, the Black Diamond Spark Mitts have a 100% waterproof BDry™ insert with premium PrimaLoft® Gold insulation, and the unique feel of the tricot lining with individual fingers make these a pair of extremely comfortable and dexterous alpine gloves. The benchmark in performance of all synthetic insulations, PrimaLoft® Gold Insulation is the go-to choice for protection in extreme conditions. Microfibers trap body heat to make this the most thermally-efficient synthetic insulation available, with water-repellency that insulates even in the wettest weather – maintaining 96% of warmth when wet. Soft on one side and textured on the other, a tricot weave allows a fabric to be sturdy yet soft, are used for when fabrics need to be both soft and strong.